The Daily Zombies: Download L.A. Noire: The Collected Stories for Free! Download L.A. Noire: The Collected Stories for Free! Now here is an amazing news for fans of Rockstar Games and Team Bondi's noir detective epic game. 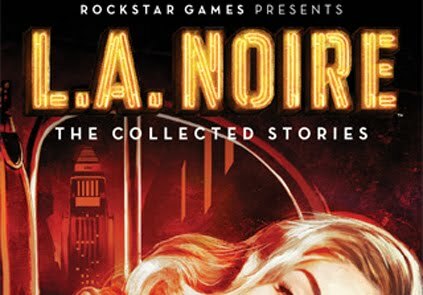 In commemoration of the release of L.A. Noire: The Collected Stories, an anthology collection of eight original short stories set in the dark and suspenseful world of L.A. Noire, Rockstar Games is offering the complete ebook version of the anthology as a completely free download at Amazon, iTunes and Barnes & Noble eBook stores from now till June 12th. 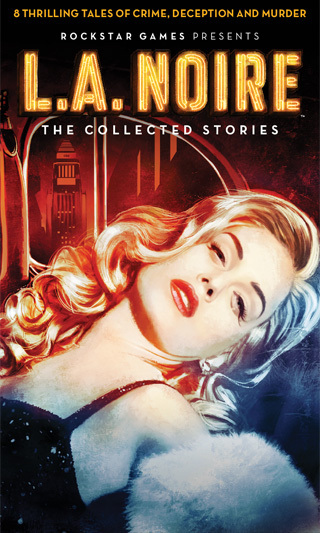 Today the full short story anthology, L.A. Noire: The Collected Stories, is now available as a completely free download from Amazon, iTunes and Barnes & Noble eBook stores. In collaboration with renowned suspense fiction publishing house Mulholland Books, the anthology is a collection of eight original short stories, from an esteemed, and award-winning company of authors. Each tale honors the shadowy and crime-riddled world of L.A. Noire - and plunges you into the lives of actresses desperate for the Hollywood spotlight, heroes turned defeated men, and classic Noir villains. L.A. Noire: The Collected Stories features eight short works from celebrated authors Megan Abbott, Lawrence Block, Joe Lansdale, Joyce Carol Oates, Francine Prose, Jonathan Santlofer, Duane Swierczynski and Andrew Vachss, many of which revisit characters and cases from the game itself, and provide a new spin on infamous headlines from the 1940s. To celebrate the release of L.A. Noire: The Collected Stories, we are offering the complete anthology of all eight complete works, and each original cover illustration, as a completely free download at the Amazon, iTunes and Barnes & Noble eBook stores. This limited-time freebie also applies to the fans who pre-ordered the collection, and will be extended to anyone who orders between now and June 12th (after June 12th the price will be $0.99). Enjoy all of the original stories as previously released below (and at rockstargames.com/lanoire/stories) all in one download along with three others ("Postwar Boom" by Andrew Vachss; "School for Murder" by Francine Prose; and the full "The Girl" by Megan Abbott) that are only available exclusively in the completed anthology.